Schedule a consultation at our convenient location in Lake Success. Dr. Mark Schwartz is the Medical Director of The North Shore Vein Center specializing in the latest treatment modalities for venous disease including varicose and spider veins. 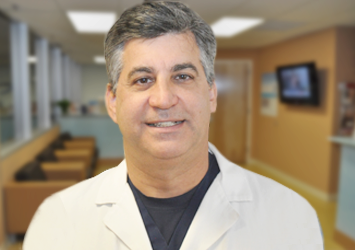 He provides a “Gold Standard of Vein Care,” which includes being Long Island’s only Board Certified General & Vascular Surgeon and Diplomate of the American Board of Venous & Lymphatic Medicine (specialist in treating vein disease). North Shore Vein Center provides comprehensive, full service vein treatment. We are experts in minimally invasive methods that have proven far superior to the old stripping operations. Leg pain is relieved, leg swelling often goes away within a couple of weeks and the unsightly veins disappear quickly. Individualized attention from a highly qualified surgeon who is board-certified in vascular surgery and general surgery. A state-of-the-art facility with a private, comfortable and welcoming environment. Minimally invasive, outpatient procedures that require little to no down time. A range of treatments using the latest technology to best address varicose veins and spider veins. Immediately after my laser procedure, I was able to return to work. I experienced no bruising or pain and I was able to resume my normal routine right away. Within weeks of the procedure, I could see my bulging varicose veins almost completely disappear. What a relief. During an extensive search to find a physician qualified to treat my spider veins, Dr. Schwartz’s practice continued to be recommended as the finest on Long Island. It was important for me to find a Board-Certified Vascular Surgeon and The North Shore Vein Center fit the bill. The outstanding results that I got were a testament to the dedicated care I received. My legs look and feel great after years of hiding my spider veins. Dr. Schwartz’s thorough evaluation and meticulous care really paid off. Dr. Schwartz’s staff and facility were first rate. The care I received was superb and best of all – painless! I have to tell you again that I’m absolutely thrilled with the work that Dr. Schwartz has done – I’ve had 4-5 sclerotherapy appointments with him and it’s been terrific. The difference is amazing – I’m definitely ready for summer! When I was in this morning I told him that I wish I’d done this long ago. He is phenomenal and his work is wonderful. The entire team is so warm, friendly and accommodating – I’ve already told friends and am encouraging them to call you so I hope they do! Schedule a consultation at one of our convenient location in Lake Success, NY.